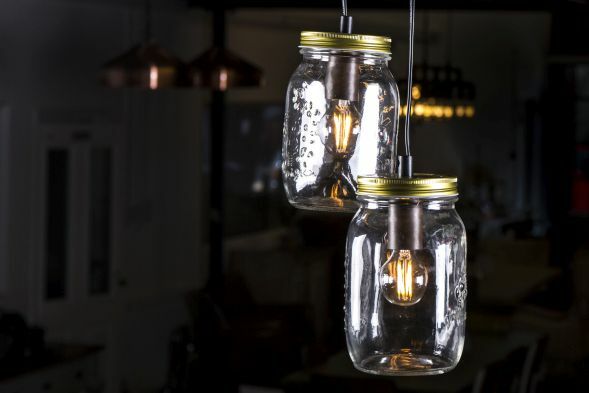 Our new mason jar pendant light is a beautiful, contemporary choice for any home or business. 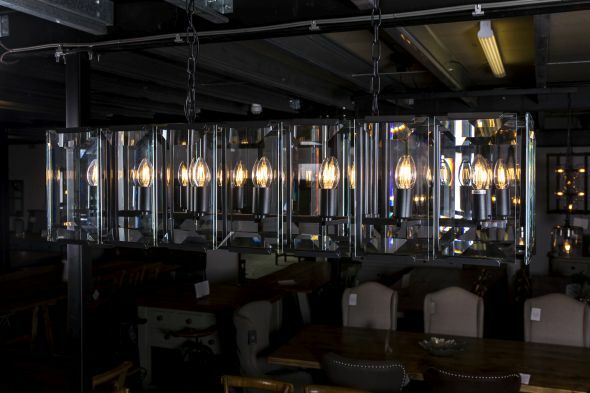 This light would look fabulous hung over dining tables or meet and greet areas in modern restaurants, bars, hotels and shops. Equally, this fixture could grace a large home dining room or hallway. 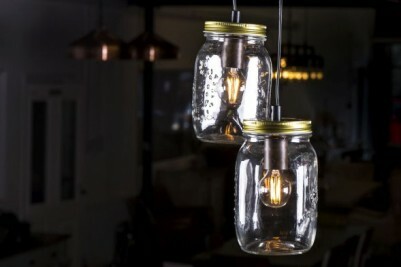 The fixture consists of five clear glass mason jars with gold-coloured lids. 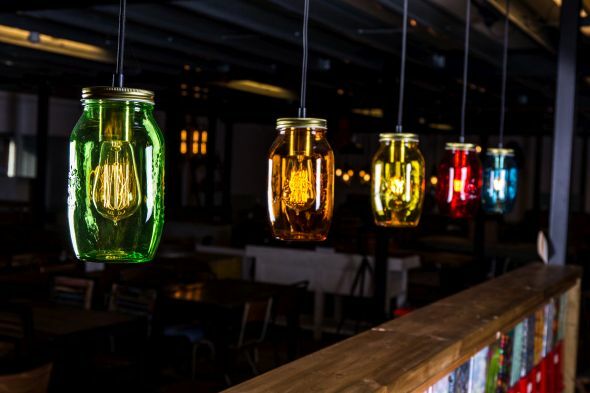 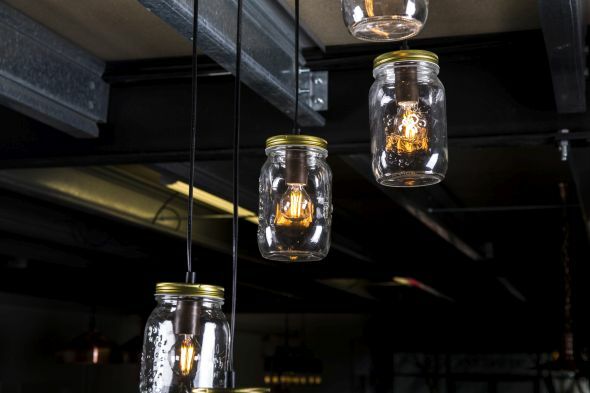 Each mason jar has space for one bulb, casting a good amount of light across any room. 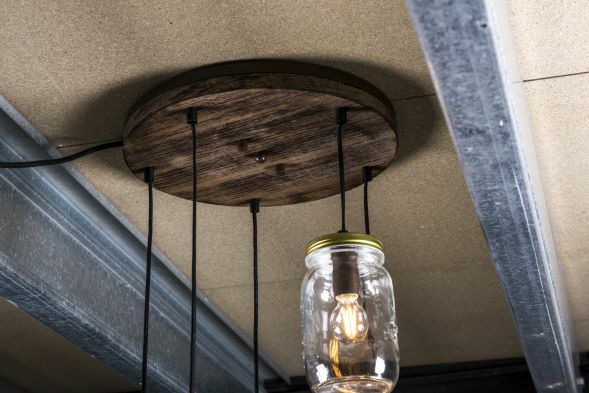 The jars are strung from a wooden ceiling rose in a tiered spiral design; the versatile style of this light would suit both modern and industrial inspired spaces. 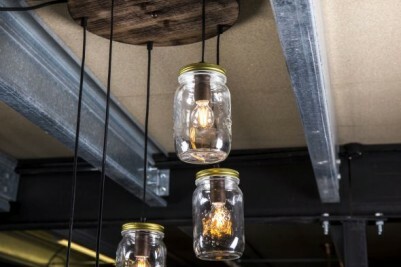 Please note that light bulbs are not included. We recommend that you seek the help of an electrician when fitting these lights. 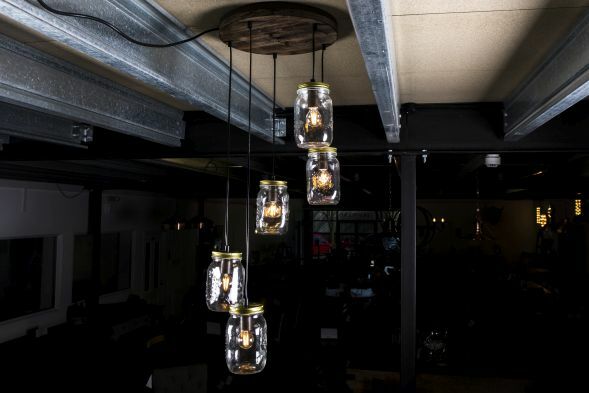 If you like this style, please follow the links below or browse our website to see even more items in our large lighting collection. 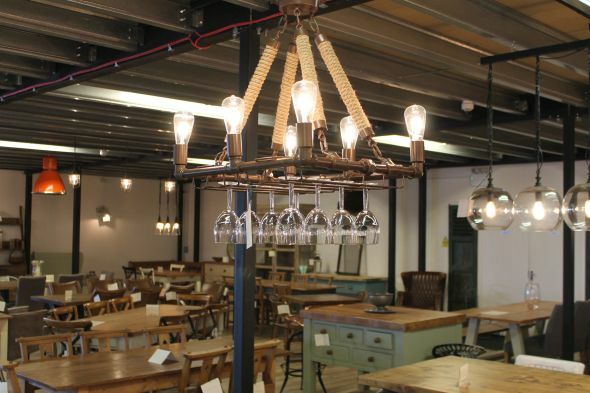 You can also see our full range of lights in our showroom.